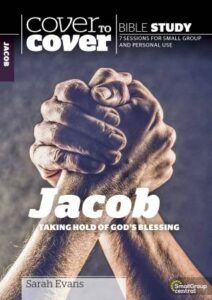 In this seven-week study guide, explore Jacob s life from beginning to end, from his heartache and struggles to his blessings and joys. Consider how you too can take hold of all that God has planned for you. These seven sessions for individual and group use include: o Icebreakers o Bible readings o Opening Our Eyes sections o Discussion starters o Personal application o Seeing Jesus in the Scriptures sections Leader s notes at the back of the study guide will help groups to get the most out of these insightful studies.